Dermal filler is a popular choice to fight aging by replacing volume lost through the natural aging process or augmentation for better facial symmetry. Unlike years ago when collagen was the only option, we now have a wide variety of fillers available to treat specific areas, melding into the skin seamlessly. Brands like Restylane and Juvederm have developed family of products that target specific areas creating even better results than ever before. Some of the dermal filler products Cosmetic Surgery & Dermatology of Issaquah carry are Juvederm, Voluma, Vobella, Restylane, Restylane Define & Refine and Restylane Silk. Dermal filler remains one of the top 3 ranking non-invasive procedures being used by both women nd men. Starting early has its benefits to improve the way our face ages without dramatically changing the way you look. As we age our faces begin to show the effects of gravity, sun exposure and years of facial muscle movement. The underlying tissues that keep our skin looking plumped up begin to break down leaving laugh lines, smiles lines and facial creases over the areas where this muscle movement occurs. The fat pads under our skin also lose volume along with our lips. If you picture your fat pads close together vs. a separation (atrophy), you can see how replacing sunken areas of the face are so effective in recreating that smooth continuous surface. Shrinking lips and drooping corners of the mouth (oral commissures) are also areas that look more youthful by adding volume. There are multiple benefits to choosing a dermal filler. One of the biggest is that you see results almost immediately. Everyone is busy and wants instant results; dermal filler is one of a few options to improve your appearance with little to no downtime. Dermal filler stimulates collagen production. Collagen decreases as we age creating thinner skin, think of your skin’s mattress becoming thinner, the more collagen we stimulate, the thicker you’re dermis is, the better our skin will look. Filler can be used in combination with other procedures like Total FX fractional Co2 resurfacing, Fraxel, Microneedling & Ultherapy. Dermal filler can also be used in a wide variety of areas; nasal folds, cheeks, temples, lips, radial lip lines (smoker’s lines), jowl area and hands. Also, some types of scars can be treated like acne scars. Facial rejuvenation is very individualized. Discussing your goals and expectations during your consultation is very important. Dr. Michalak, Debbie Gauthier, NP or Elizabeth Wood, PA-C will evaluate your face and select treatment options that help meet these goals. Prior to beginning, they will review what to expect from the treatment so you are well informed. You will also be given a price quote so you know exactly what the treatment will cost and any additional treatment options your provider feels will be of benefit. Some things to consider are that injectable fillers are not permanent, the material is eventually metabolized by the body and how long each filler lasts differ from person to person. Bruising is common, especially in patients that bruise easy or are taking certain medications. Hyaluronic Acid: Some of the most popular dermal filler products are derived from HA, a sugar that is a naturally occurring substance found in our bodies. Hyaluronic acid binds up to 1,000 times its weight in water and swells when in a gel form. The Restylane family of products, Restylane Define & Refine and Restylane Silk are derived from hyaluronic acid. So is Juvederm, Voluma, and Vobella. Hyaluronic acid products vary in longevity from 6 months up to 2 years, Voluma lasting the longest. Hyaluronic acid filler can be dissolved if necessary by using injecting the enzyme hyaluronidase making this a good filler to begin with. Radiesse: Unlike HA fillers, Radiesse is derived from Calcium Hydroxyapatite a mineral-like compound found naturally suspended in a gel-solution. This product is the heaviest of facial fillers and is better used for deeper creases such as nasolabial folds, to enhance cheeks and popular in hand rejuvenation. Radiesse can lasts a year or longer, keeping in mind patients metabolize filler at different rates. Sculptra: Works much differently than other fillers in that the substance Poly-L-lactic acid (PLLA) creates a scaffolding that stimulates collagen over a period of time. You will gradually see results taking anywhere from 4-6 months or more. Variations can depend on how many vials are injected and your starting point. Someone with less collagen make take longer for instance. Sculptra can also take multiple visits spaced a month apart. Sculptra is effective in rejuvenating most areas of the face including the temples, cheeks, and jawline and can last 2 years or longer. Dr. Victor Michalak, Debbie Gauthier, NP and Elizabeth Wood, PA-C are available for consultations and dermal filler appointments in the Issaquah office. Appointments can be made by calling the office @ 425-391-2500. For general questions, you can also email us via the website here on the sidebar or contact us page. 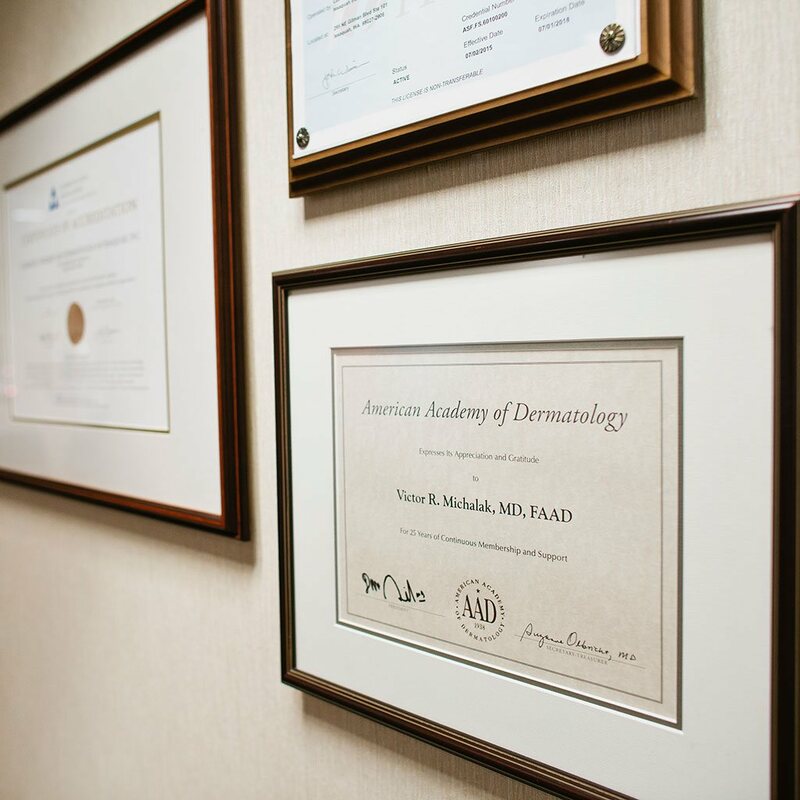 Cosmetic Surgery an Dermatology of Issaquah dermal filler service area includes the Issaquah Highlands, Sammamish, Renton, Maple Valley, Bellevue and as far as Cle Elum and Ellensburg, Washington.